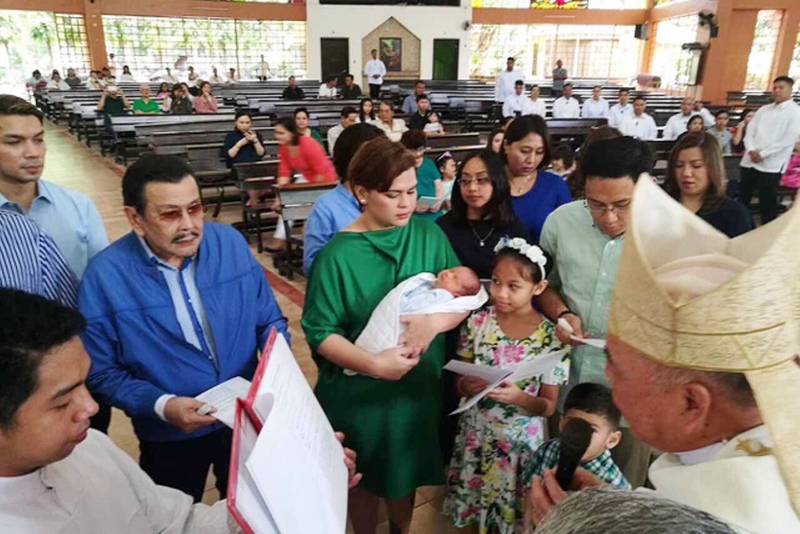 The latest presidential grandson Marko Digong “Stonefish” Duterte Carpio on Thursday morning got christened in a private baptism ceremony in Davao City. 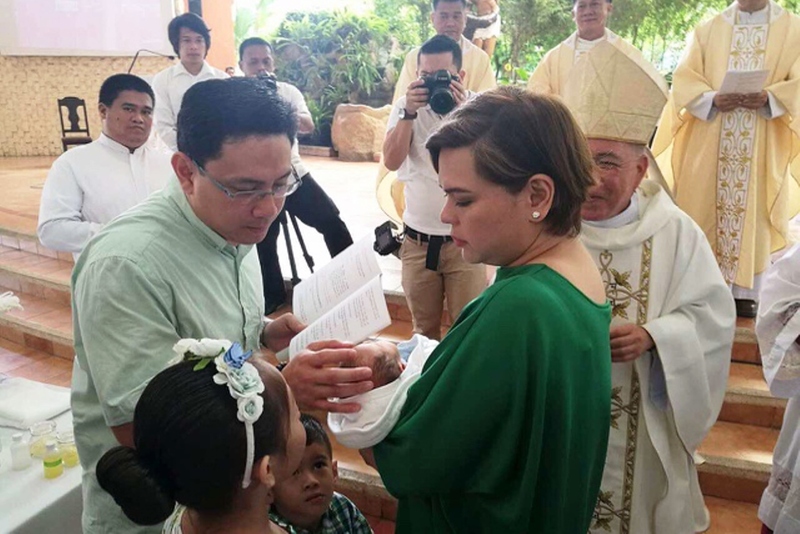 Stonefish, whose second name was similar to his grandfather, President Rodrigo Duterte’s nickname, was baptized at the St. Francis of Assisi Paris in Maa, Davao City. 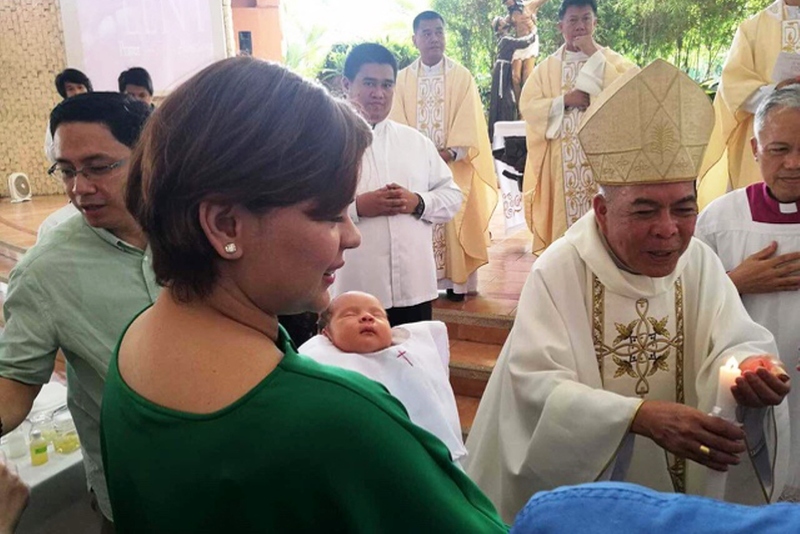 The baptism of Stonefish was reportedly witnessed by members of the Duterte and Carpio families, as well as his godparents. The godfathers of Stonefish include Waldo Carpio, Davao City Vice Mayor Paolo Duterte, Sebastian Duterte, Cyril Marasigan, Neil Canedo, Jacob Soriano, Charlie Tan, Elijah Manuel Pepito, Joy Lamanosa, Orlando Basilio Jr., Aaron Velasco, former President now Manila Mayor Joseph Estrada, Davao City Press Secretary Jefry Tupas and Brian William Uy. On the other hand, Stonefish’s godmothers are Janette Velasco, Darlyne Rubio, Mayjoy Ramos, Charo Rejuso-Munsayac and Joyce Domingo-Dapat. Proud grandfather Rodrigo also graced the reception of the christening. 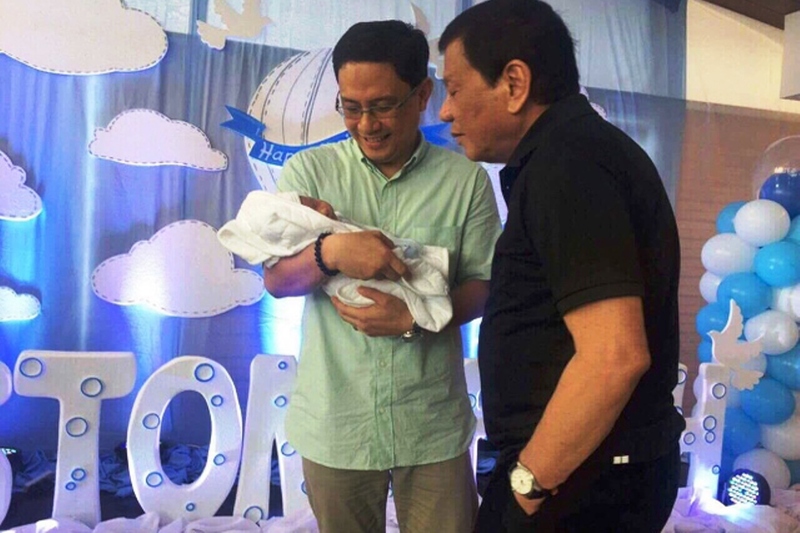 In her Instagram account, Stonefish’s mother, Davao City Mayor Sara Duterte-Carpio posted a photo of Rodrigo and Estrada. 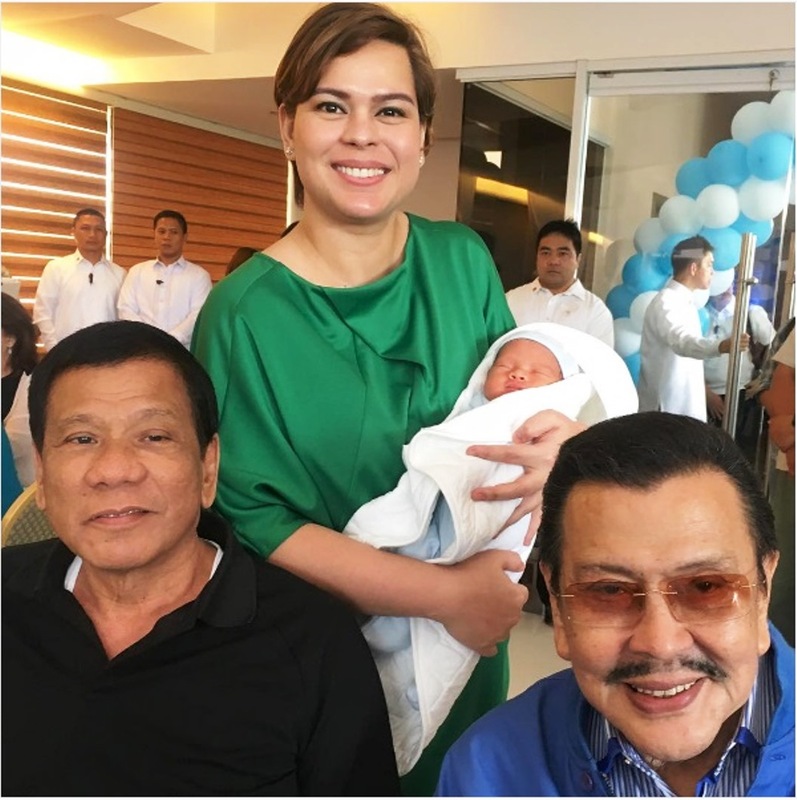 “You are blessed by two Presidents, #digong, #erap, my love,” Sara’s caption read. 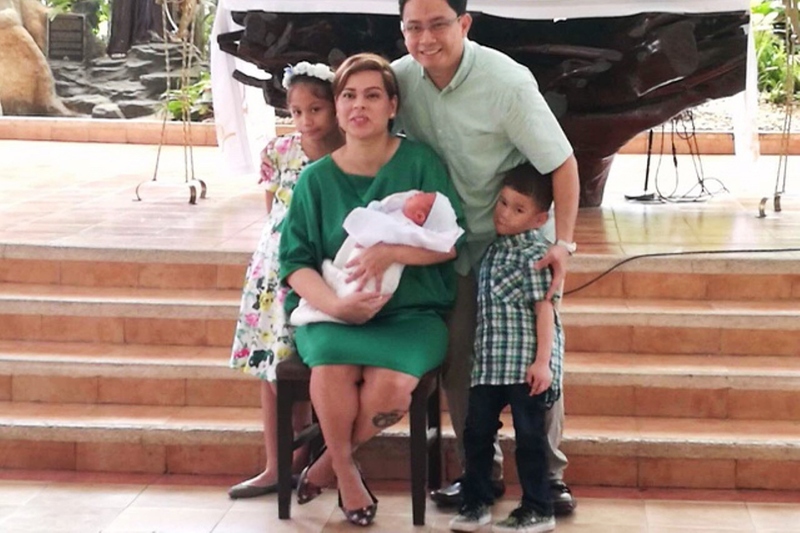 Stonefish’s baptism came two weeks after he was born. He was born last March 2. 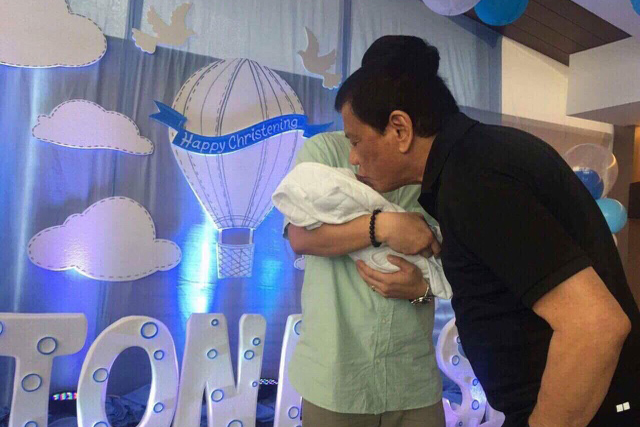 Here are some photos during the baptism and reception of the latest addition to the presidential family Stonefish.